You may think that dreams, zombies, and memories have nothing in common. However, these seemingly unrelated topics capture the questions high school students regularly ask our Out of Our MiNDS Outreach Team. Every time we deliver a workshop, our goal is to create an inclusive environment designed to spark the imagination of students and fuel their interest in discovery. We know that we've achieved our goal when they are engaged enough to ask questions. Memory is one of our most popular discussion topics. Students want to know where memories are stored in the brain. We address these questions using the famous case of H.M. (who had both medial temporal lobes removed to control seizures) and our sheep brain models which really bring this to life. When neuroscience enters popular culture, students become fascinated. The movie Concussion starring Will Smith has stimulated questions about the effects of head injuries on the brain and behaviour. We also discuss how neuroimaging techniques have advanced diagnostics and the development of more effective rehabilitation regimens. Another rather unique set of questions relate to the possibility of zombies! Since zombie-like behaviour comprising pathological motivation and rage states can be induced by some recreational drugs, this gives us a chance to discuss the neural networks involved in motivation, aggression and anger. It is clear that high school students have a tremendous curiosity about neuroscience. 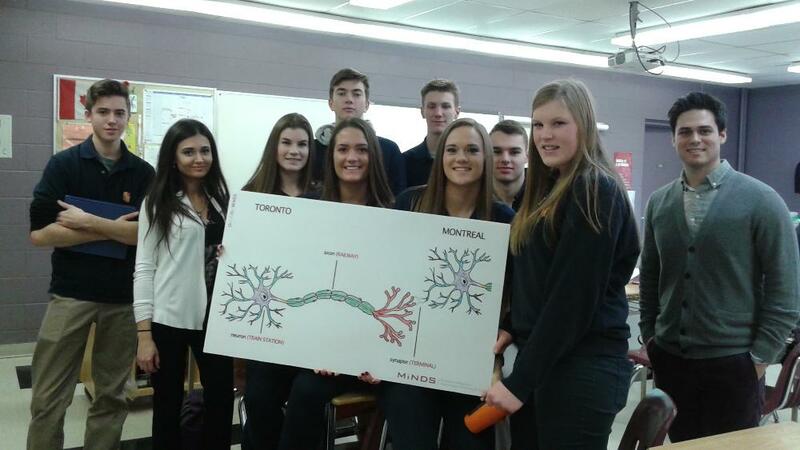 Our experiences suggest that these students can be engaged using examples from popular culture and highlight the importance of effectively translating our findings to these young people to help excite them about the study of the nervous system.